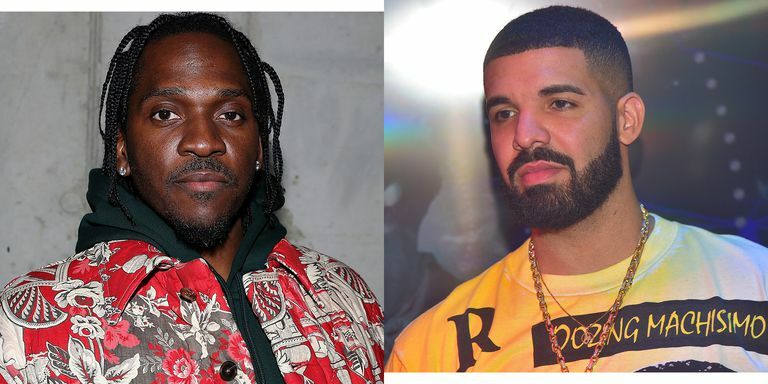 Days after rumour surfaced that Drake has a diss track that could end Pusha T’s career, the Infrared rapper has responded and thinks if that story is true, Drake wouldn’t hesitate to drop the song. Recall that their feud began after Pusha dissed Drake on Infrared and the Canadian star replied with Duppy Freestyle, prompting Pusha to eviscerate him with the vicious rebuttal called The Story of Adidon. Many people waited for Drake’s reply but news later surfaced that rap OG J. Prince called him and told him not to further the beef that seemingly could turn violent. Now, Pusha has granted a new interview with GQ in which he talks about the feud, the alleged career-ending diss Drake has made, and more about his relationship with Kanye West. See the excerpts below, as shared by Highsnobiety. “No. I feel like he’s an opinionated friend. And we don’t have to agree. And we haven’t agreed on a lot of things in life. And we’re still friends. Nine times out of ten, I feel like if I argue my opinion I’m going to come up with way more facts. I feel like he moves off of feeling a lot… I’m around him enough to know that he says certain things and then he’ll see something that doesn’t even agree with something that he says and he’ll be passionate about that as well. “It’s different because there’s a lot of sympathy and compassion and things like that I didn’t know existed. That’s why it’s not even fun to me anymore. You can read the full interview on GQ. 0 Response to "Pusha T Speaks Following Claims That Drake Has a Diss Song That Could End His Career"